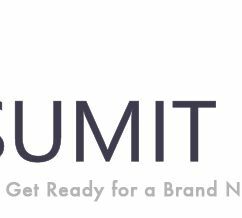 What is SUMIT? SUMIT is a fun, mathematically-intense, fully collaborative math adventure for girls in grades 6-11 who like math. SUMIT is a large-scale math collaboration. It is an in-person event designed to encourage new friendships between girls who like math. When and where does SUMIT 2019 take place? SUMIT 2019 will be run twice, once on April 6, 2019 and once on April 7, 2019. Participants may only attend one of these dates. Both runs will go from 8:45am to 4:30pm. The event will be held at the Buckingham, Browne, and Nichols Middle School, 80 Sparks Street, Cambridge, MA 02138. How are girls chosen to participate in SUMIT? At each SUMIT event there are a certain number of slots for girls from each grade. These slots will be filled on a first-come-first-served basis as soon as registration opens. If you register after all slots for your grade have been filled, you will be placed on a wait list. What does it cost to participate in SUMIT? Upon receiving an email confirming your registration, a $75 registration fee will be required. This fee will be waived for students who demonstrate financial need. There are no other fees associated with this event. Who should register to participate in SUMIT? 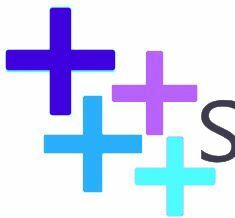 SUMIT is for girls in grades 6-11 who love math. There will be mathematical challenges suitable for all levels and SUMIT presents multiple leadership opportunities for participants. If you don't particularly enjoy math, but want to give math a try, please consider enrolling in the Girls' Angle club. Do I need to have a certain math background to participate? No. No special math background is necessary. All you need is enjoyment for thinking about math and an open mind. Is SUMIT a math competition? No. SUMIT is fully collaborative. Participants must learn to communicate well with each other and join forces to overcome big challenges. Participants will succeed or fail as a group. Why at the Buckingham, Browne, and Nichols Middle School? SUMIT 2019 is not only a math event, it is an adventure and requires a large venue to accommodate an evolving story line. The Buckingham, Browne, and Nichols Middle School, which was recently renovated, offers a beautiful space well-suited for such a saga. At our club, girls work directly with mentors, who are mostly women on the mathematics career path or related fields, including undergraduate math majors, graduate students and postdoctoral fellows in mathematics. Our instruction is custom-tailored to the individual. Our main goal is to help girls improve the way they think using mathematics as an ideal vehicle. We aim to prepare girls to solve the yet unsolved. For more information, please visit girlsangle.org. Read our bimonthly Girls' Angle Bulletin here or visit our blog.